Asbestos is a mineral fiber that was once used by many building trades because it resisted damage from heat and electricity. 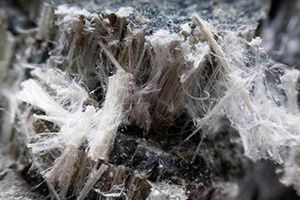 However, when asbestos fibers are inhaled, tiny fibers may become lodged in the throat, leading to the development of mesothelioma, lung cancer, or asbestosis many years later. Mesothelioma, for example, only tends to develop a decade to four decades after exposure. Asbestos was banned in certain products in the United States in 1989, but it remains in older buildings and in some products. If you suffer from mesothelioma or another asbestos-related illness, the asbestos exposure lawyers at Moll Law Group can help you file a lawsuit for compensation. Billions of dollars have been recovered in cases in which our toxic tort attorneys have been involved. Even if the original manufacturer has closed up shop or gone bankrupt, you may be able to recover compensation. If you suffer from an asbestos-related illness, you can pursue compensation from either the company that manufactured or installed an asbestos product, or from an insurer or victims' trust fund that assumed liability for the original company. State laws differ with regard to the statute of limitations for personal injury cases, but in general, it is a short window of time from the diagnosis or discovery of mesothelioma or another asbestos-related illness. In Illinois, for example, you have two years from the date that your cause of action accrued. The date is the date that you knew or should have known that you had an asbestos-related disease and knew or should have known that it was caused by exposure to asbestos-containing products. In contrast to some other states, your asbestos exposure attorney must file the lawsuit within the statute of limitations even if you do not know the identity of the particular defendant responsible for your exposure to an asbestos product. Most asbestos cases are settled and do not go to trial. Courts recognize that people with mesothelioma have a shorter life expectancy and may accelerate the lawsuit. As long as there is enough information about your medical condition and the defendant responsible for exposing you to asbestos, you can potentially recover monetary compensation in a shorter time frame than in other types of toxic tort or personal injury cases. The amount of compensation that will be available is hard to predict. Each victim's illness and how it has altered their life will affect the settlement or verdict. Forms of compensation may include lost wages, medical expenses, pain and suffering, and loss of enjoyment. Certain companies that manufactured or installed asbestos have created victims' trust funds. Some of these funds have been depleted due to a large number of claims, while others are still large enough to pay victims their full compensation. Unlike many newer toxic substances, the harm posed by asbestos is very clear and well documented. If you have been harmed by exposure to this substance, you should consult the asbestos exposure attorneys at Moll Law Group. Our firm represents injured individuals in product liability cases around the nation, including in states such as Illinois, Ohio, New York, Pennsylvania, California, Texas, and Florida. Contact us online or call us at 312-462-1700 to set up a free consultation with a personal injury or wrongful death attorney.